Alexis (4 yr old) was diagnoased with Leukemia in mid July 2010. Alexis is currently going through intense chemotherapy and the plans are for her to have a bone marrow transplant in the coming months. 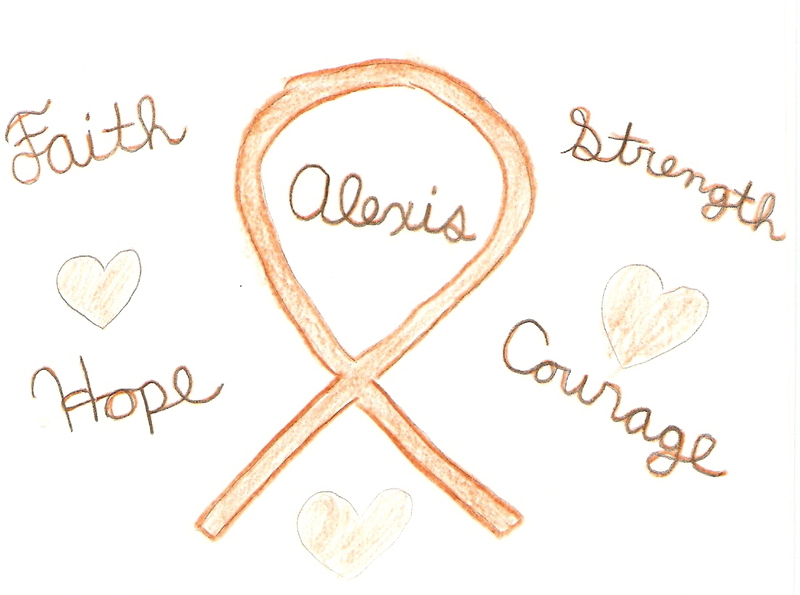 Please help support Alexis and her famiy as they continue to fight this terrible disease. Family and friends of Alexis have compiled together children friendly recipes to make this cookbook a success. Recipes are from those Alexis has gone to school with, played with in daycare, as well as Church. All the artwork is from cousins of Alexis. There is an Extras/Fun Stuff section in the cookbook that has recipes on how to make homemade playdough as well as different homemade projects. Whisk milk and pudding for 2 minutes. Let stand. In another bowl beat cream cheese, butter, and sugar until smooth. Stir in pudding. Set aside 1/4 c. cool whip, 1/4 c. crushed cookies. Fold remaining cool whip into pudding mixture. Place 1/2 of the remaining cookies in a trifle bowl, top with 1/2 of the pudding mixture. Repeat layers. Garnish with reserved cool whip and crushed cookies. Refrigerate.